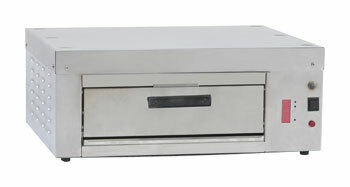 Serve hot and fast pizza with the High-Speed Pizza Oven. When customers want more than just a snack you can serve them a meal with this countertop oven. It is also great for cookies, pastries, pretzels and sandwiches. The electric pizza oven is designed to serve mid-level traffic in restaurants, snack bars and concession stands. Place your pizza in this commercial oven on the cooking stone or aluminum shelves, either way, you have a quick and delicious product to sell. Hurry and purchase now! Great for other items like sandwiches, calzones, etc. Shipping Is Approximate .- We Will Call To Verify Shipping Costs.